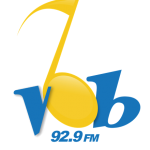 Since 1981, listeners have been tuning into Voice of Barbados – VOB 92.9 FM (back then it was 790 am on the dial!) for the latest in music, news, commentary and sports. When it comes to news coverage, this is the preferred station of choice as listeners know that they will receive fair, accurate and balanced reporting. In fact, VOB is the leading electronic news source. For those with a passion for social commentary, Brasstacks offers an outlet for listeners to share their views and at times, go head to head with its hosts. Considered the nation’s most listened to call-in programme, David Ellis, Dennis Johnson and Peter Wickham are regularly listed as its favourite moderators. “VOB Magical Extravaganza,” where member shops host Sunday night limes. Always well attended, always loads of fun. Live broadcasts on the last Sunday of each month! Lime from 9:00 pm until midnight. “Your Choice” with Ken Husbands features an in-house guest cohosting the show. Call in and request your song! Eagerly anticipated seasonal shows such as “Fireworks” each Crop-Over. Tune into VOB 92.9 FM at home, in the office, in your car or wherever you pick it up and hear songs from way back when to present. From social commentary to pop, its musical offerings cross generational lines, making it a great station for everyone. Feel free to sing along too! Advertisers know that they get a big bank for their buck with VOB, as the station is hugely popular with all cross sections of society and demographics and reaches their target group each and every time.